Bill Jacobs Land Rover Hinsdale is excited to announce that the 2014 Range Rover Sport has been crowned the '2014 Four Wheeler of the Year' by Four Wheeler magazine. This marks the third time a Land Rover vehicle has won this top honor. The new Range Rover Sport looks terrific. I like the body style, improved gas mileage and the third seat option. Bill Jacobs Land Rover Hinsdale is excited to announce that the 2014 Range Rover Sport has been crowned the '2014 Four Wheeler of the Year' by Four Wheeler magazine. This marks the third time a Land Rover vehicle has won this top honor. The 2014 Range Rover Sport is Land Rover's fastest, most responsive and agile car to ever hit the market. Hinsdale Chamber of Commerce President Jan Anderson attended a launch party for the Range Rover Sport last month at the Land Rover Hinsdale facility, and noted that “The new Range Rover Sport looks terrific. I like the body style, improved gas mileage and the third seat option – (I am a new grandmother, and appreciate that feature!) "
This annual competition conducted by the Four Wheeler editorial staff has held strong for the last 40 years. To qualify for the award, the vehicle must be a new model or have significant improvements from the previous model year. It must also be equipped with a transfer case with a dedicated low-range gear, have a minimum production run of 1500 units and be on sale before February 15, 2014. Points are awarded to qualifying vehicles for performance capability and build. The complete test results can be viewed online at http://www.fourwheeler.com. "It is a great achievement for the very luxurious and performance oriented Range Rover Sport to be named 'Four Wheeler of the Year,' by the country's oldest four-wheel drive enthusiast publication," said Kim McCullough, Brand Vice President, Land Rover North America. "To win this extreme off-road competition with the all-new Range Rover Sport highlights the work our engineers and designers have done to enhance our already-leading breadth of capability." The staff at Four Wheeler noted that their favorite elements of the 2014 Range Rover Sport included the 510hp, nearly 12 inches of ground clearance, 10-11 inches of wheel travel at each corner, and a 0-60 time of 5 seconds flat. With its reduced weight by 800 lbs, the 2014 Range Rover Sport provides drivers with the ideal balance of sport and luxury. Stop in at Bill Jacobs Land Rover Hinsdale for a test drive, or more information! Bill Jacobs Land Rover Hinsdale takes pride in delivering a level of customer satisfaction beyond your expectations. They create a shopping experience that matches the luxury products they represent. Professional, well-informed, friendly Sales and Service representatives build one-on-one relationships with each customer. Bill Jacobs is a name you can trust, and has been in the automotive business for over 50 years. 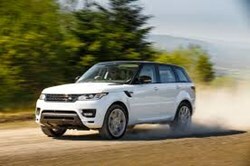 For more details, please call Bill Jacobs Land Rover Hinsdale at (866) 857-7638 or log on to http://www.landroverhinsdale.net.